Stay in Mykonos's best hotels! 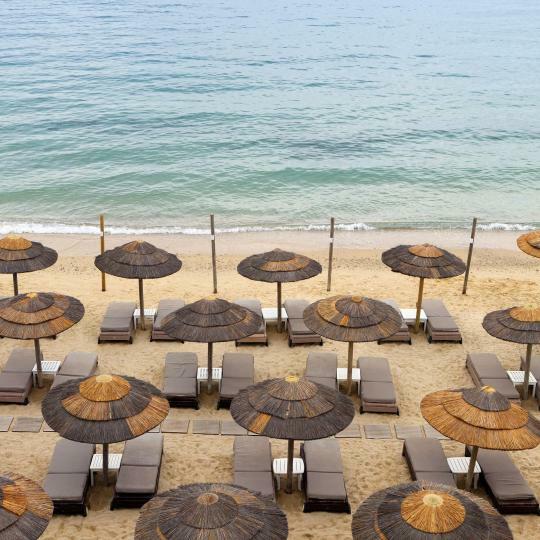 Overlooking Mykonos Windmills, the Poseidon Hotel Suites is only 165 ft from Megali Ammos Beach. The 3-star hotel offers a freshwater pool, and bright rooms with air conditioning and fan. Great location!! Easy walk to downtown and great if you’re wanting to go out in the evenings. Located in the Mykonos City Center district in Mýkonos City, 1.7 mi from Nammos Mykonos, Absolut Mykonos Suites & More features an outdoor pool and views of the sea. The view, the made to order omelette for breakfast. The staff are amazing and always serve you with a smile. Thalassa Boutique Hotel - Suites is set right on the beach of Platis Yialos within 2.5 mi from the cosmopolitan Mykonos Town. The room with the private pool and view of the beach is awesome! Bed is comfortable, room is clean, and the use of lounge chairs and cabana's on the beach is great. Staff is all great and very helpful. Set on top of the famous Mykonian hill, Myconian Kyma - Design Hotels, all dressed up in the original Myconian white color, offers 5-star accommodation featuring a state-of-the-art spa centre. Honestly everything was outstanding from the check-in all the way to the check-out. You guys are the best. Baba Houlakia is located in the quiet Houlakia area, 2.8 mi from Mýkonos Town and 328 feet from the pebbled beach. The owner of the hotel was amazing. He accomodated to our late arrival and was extremely friendly and welcoming. He assisted us to rent a car and had an expansive knowledge of the island. Boasting a seafront location in Agios Ioannis in Mykonos, Anax Resort ideally blends Cycladic architecture with modern amenities. Excellent Service, Beautiful views and great location. Offering an outdoor pool and Aegean Sea views, Lyo Boutique Hotel Mykonos is set in the vibrant Super Paradise Beach in Mykonos. Everything, very stylish and the staff was the best we've ever experienced, everybody was super nice, cool and helpful. Very boutique and 200% recommended! Boasting an outdoor pool and magnificent Aegean Sea views, My Mykonos Retreat is close to the cosmopolitan Ornos Beach in Mykonos. Perfect hotel, nice staff and amazing amenities and view from the top! Located in the Mykonos City Center district in Mýkonos City, 1.7 mi from Nammos Mykonos, Absolut Mykonos Suites & More features an outdoor pool and views of the sea. The view, the made to order omelette for breakfast. Thalassa Boutique Hotel - Suites is set right on the beach of Platis Yialos within 2.5 mi from the cosmopolitan Mykonos Town. The room with the private pool and view of the beach is awesome! Set on top of the famous Mykonian hill, Myconian Kyma - Design Hotels, all dressed up in the original Myconian white color, offers 5-star accommodation featuring a state-of-the-art spa centre. Honestly everything was outstanding from the check-in all the way to the check-out. 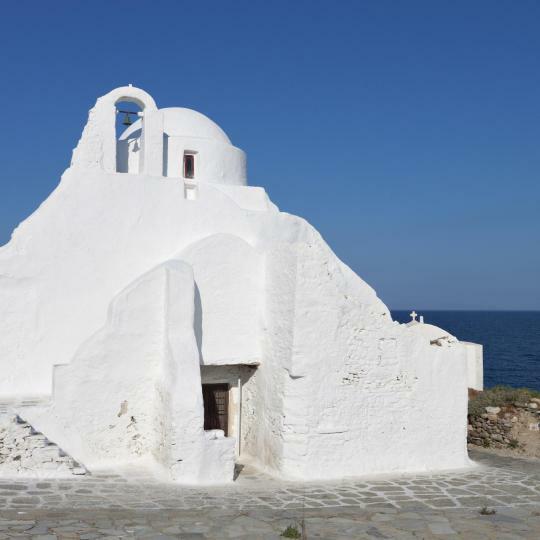 Baba Houlakia is located in the quiet Houlakia area, 2.8 mi from Mýkonos Town and 328 feet from the pebbled beach. The owner of the hotel was amazing. 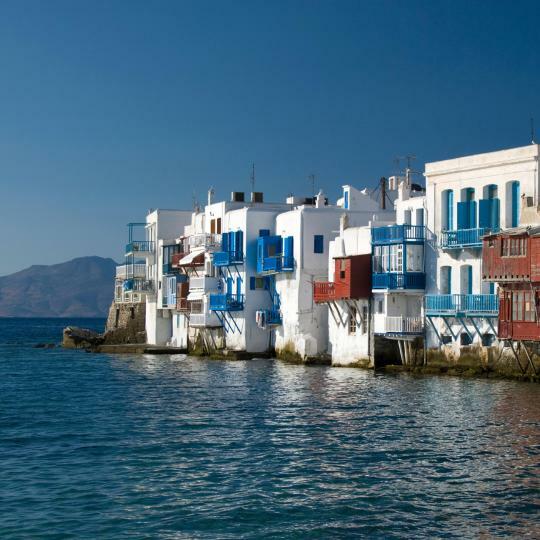 Hotel Dimele is located in the Mykonos City Center district in Mýkonos City, 1312 feet from Mykonos Windmills. Enjoy a cup of tea while looking out at the sea or city. The staffs are really nice and helpful. They are willing to explain what to do in Mÿkonos. Combining luxury with traditional Cycladic touches, Kensho Boutique Hotel and Suites boast elegantly designed units with state-of-the-art amenities within a 1-minute walk of Ornos Beach. The room and staff.. Very stylish and complete hotel.. The Cycladic-style Cape Mykonos offers elegant accommodations with unobstructed sea views in Megali Ammos of Mykonos, within 1312 feet from the cosmopolitan town center. Amazing views, excellent location, Elina was super helpful! We will return! Offering an outdoor pool and a snack bar, The George is located in Platis Yalos Village. It features air-conditioned accommodations with direct or side Aegean Sea views. Bed super comfy big showers good pressure nice views nice pool good staff . Located in Kanalia of Ornos, Mykonos No5 Luxury Suites & Villas - World Hotels Collection offer an outdoor pool and a sun terrace. An absolute delight for all of your senses! Right on the beach of Agios Ioannis, Hippie Chic Hotel features a pool and elegant accommodations with free WiFi. Absolutely beautiful and cosy place! Happy to be back here again and did not regret it a moment. Just a few steps away from the cosmopolitan beach of Ornos, Mykonos Blanc combines elegance and comfort with respect to the traditional Cycladic style. We absolutely loved this hotel. Beautiful beach.. great pool. Featuring an outdoor pool and a sun terrace with sun loungers, Anna-Maria Mykonos Hotel is located in Glastros area of Mykonos, within 0.9 mi of the famous Psarrou Beach. We had a wonderful stay here. The staff was so friendly and welcoming. Located right on Agios Ioannis Beach, Mykonos Grand Hotel & Resort provides 5-star, boutique accommodations set amidst cobble paths overlooking Delos Island. The place was just too good and the rooms were very spacious and nice . Overlooking Delos Island, De.Light Hotel offers spacious and air-conditioned suites with a patio or balcony boasting Aegean Sea views. The staff was amazing from the moment they picked us up from the port. 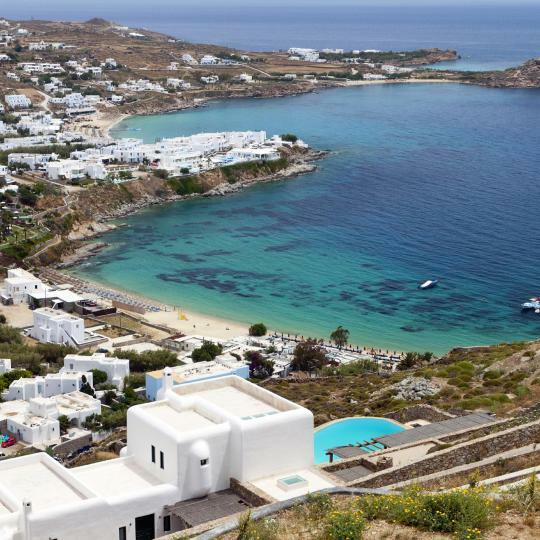 Offering panoramic views of Mykonos Town and the Aegean Sea, the whitewashed Hotel Charissi has air-conditioned accommodations with a furnished balcony. The staff were absolutely lovely. Dimitra was very friendly and helpful in every way. The island’s romantic corner, picturesque Little Venice is the perfect spot for enjoying the sunset, with the sea right on your doorstep. 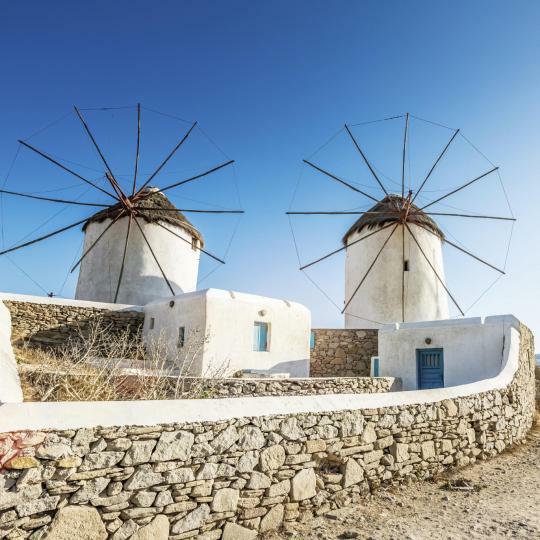 Well-known symbols of Mykonos, these whitewashed windmills perched on a hill are the first thing you see when arriving to the island. The most photographed church of Mykonos, Panagia Paraportiani consists of five small churches built over a period of 200 years. 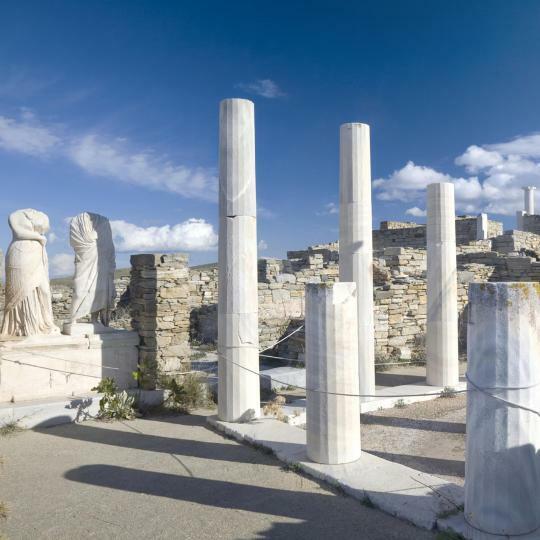 A religious and economic centre in antiquity and a must-see archaeological site, the uninhabited Delos Island is only accessible from Mykonos. 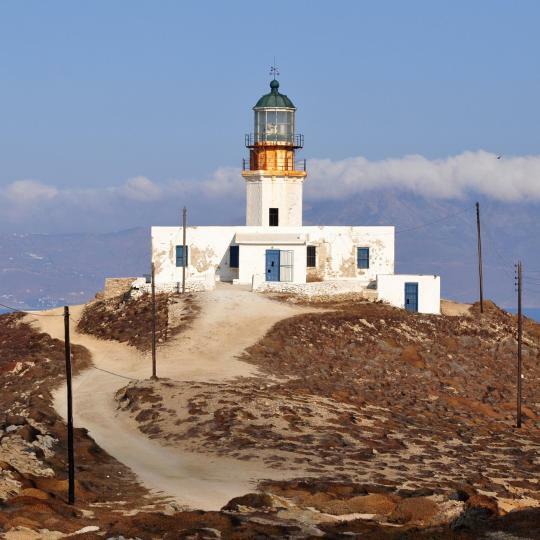 Standing on the edge of Cape Armenistis, the historic Armenistis Lighthouse enjoys panoramic views of the Aegean Sea and Tinos Island. Surrounded by coves, Super Paradise Beach is the island’s ideal spot for all-day partying next to the crystal-clear waters of the Aegean. Featuring crystal-clear waters and a popular seaside restaurant, the sandy and well-organized Psarou Beach is the celebrities’ favourite spot. 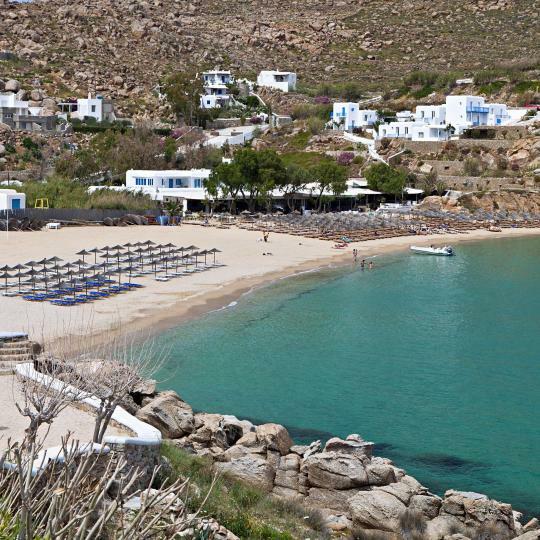 Elisa Beach is the longest sandy beach on Mykonos Island and the perfect spot for practising an array of water sports. Home to designer boutiques, legendary bars and art galleries, Matogianni Street is the ultimate place for fun and shopping. 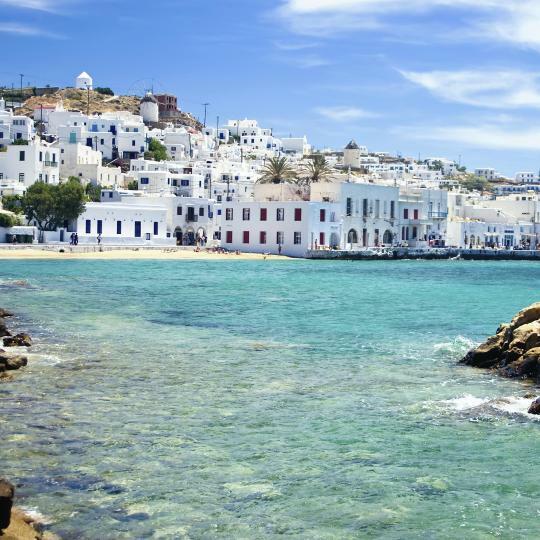 The scenic Mykonos Town with its cobbled alleyways, renowned restaurants and eventful nightlife is the island’s most popular destination. Location of the hotel was excellent just 2 mins away from Mykonos town. Room was modern and clean with a front balcony where we can see the sea and windmills. Bed was really comfortable and facilities well maintained but the weather was unfortunately too cold and chilly to enjoy the very inviting pool. Not far from the new port if you are using the ferry and only 5 mins to the airport. Had a very enjoyable and pleasant stay. Staff was helpful in giving recommendations and directions. We have been traveling through Greece for three weeks now and have stayed at a wide variety of hotels. Mama’s was by far our favorite one. Christina and Anna were so wonderful and generous. It had a very homey vibe. Just a short walk to a nice beach and the bus station to town is very close. I would highly recommend this place and if I find myself back on Mykonos this is where I’ll be staying. This hotel is a gem in Mykonos. We actually got stuck on the island for 2 extra days due to the weather and the staff was so helpful. They allowed us to stay in our room through those two days. You are away from the heart of Mykonos but just a short 10 minute walk to the town. The rooms are up to date and modern. The pool is great and the staff is amazing. My partner and I stayed for one glorious week at Agia Anna. The hotel is a small, (less than 20 rooms/apartments), beautiful, perfectly situated and very well maintained place, with its own beach. Perfect for Nikolas restaurant, Skorpios and other delights of Mykonos. Thank you to all at Agia Anna for a wonderful stay, we would love to return! This place is amazing! The host was the best host I had in Greece. She helped us tremendously and recommened us places to visit. We enjoyed Mykonos to the fullest. Convenient location, close to the beach, comfortable, spacious apartment! From all the islands we visited, this place was the best! Wonderful family run hotel, so clean, friendly and helpful. Breakfasts were delicious. Located close to Mykonos Town but yet far enough away for quiet solitude. Stefano picked us up from the airport on arrival and dropped us off at our sailing meeting point on departure. 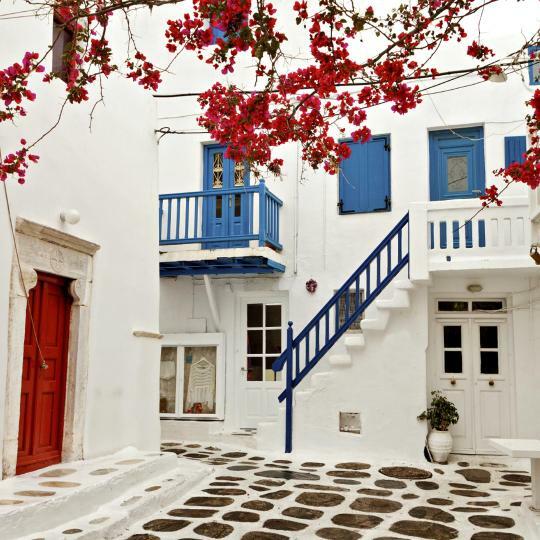 Great location in the middle of Mykonos Town. Adorable boutique hotel with super friendly staff. They gave us tons of great recommendations for places to go around the island. Stayed at several hotels during our trip throughout Greece and this was by far our favorite. The hotel restaurant was amazing, we were not expecting it to be that good. Pool area was very nice too. The room was lovely and clean, no complaints there. The location was very good, a short and beautiful walk to the Old Harbour and Mykonos Town. Elysium Hotel on Mykonos, Greece. Staff: Nikos, Katerina, George. 5 Star Service. EXCELLENT HOTEL, STAFF, FOOD, ENTERTAINMENT. HIGHLY RECOMMENDED TO ALL WHO PLAN TO VISIT MYKONOS. LOCATION IS SUPERB! THE BEST SUNSETS SEEN FROM ROOMS 103.. Wonderful hotel. Great staff. We were upgraded to a suite! But, it's a bit of a hike to the hotel from town and restaurants. Also, we found Mykonos very touristy. Hard to find authentic Greece here. Julia and her father are truly a great host, the place is very clean and they makes you feel like your part of the family. I will definitely go back to Mykonos and will stay at Matina Hotel. Amazing hotel, loved the drinks, the hosts were wonderful! The apartments were very clean and looked lovely. The pool is also very clean and offers a beautiful view of Mykonos! The breakfast was excellent but what makes this place excellent besides the location and facilities is its staff. They were falling over each other to service us. From concierge to bartenders to waiters to drivers. I have nothing but excellent things to say of this facility.